We’re glad you chose to visit the PRTL site! We care about your privacy and the information you share with us and want you to understand how we are using and protecting the information we collect from you. PRTL are respectful of data privacy and adopt best practice in compliance with applicable privacy law and regulations, including the EU General Data Protection Regulation (“GDPR”). PRTL, provide products, content, and services for a professional and consumer audience and is not intended for individuals under the age of 16 years old. We do not knowingly collect or store personal data provided by anyone under 16 years of age. PRTL collects data about you that is limited to the kind of information that can be found on a typical business card: first name, last name, job title, employer/company name, work address, work email and work phone number. In some cases, we may ask you to provide additional professional information such as the size of the company you work for, and industry type. To enhance and/or update the information that you have provided to us, we may combine it with professional information or personal data that we collect from third-party sources. The personal data that we refer to in this document is the personal and professional information you provide, as well as information that we obtain from third party sources, both of which we typically combine as one user record. This “website” also collects and stores certain information automatically using cookies and similar technologies, including IP addresses, the region or general location of a computer or device accessing the internet, browser type, operating system, page view history, and other useful information. We may collect your personal data when you register to purchase any of the products, content or services offered by PRTL. PRTL maintains safeguards which include technical and organisational security measures to protect your personal data from loss, misuse, unauthorized use, access, inadvertent disclosure, alteration, and destruction, and we require the third parties we contract with to support the “website’s” business operations to employ reasonable security measures as well (see “When and how we share your information with others” below). We update and test security on an ongoing basis and restrict access to your personal data to only those who need to know in order to provide the PRTL products, content or services to you. We will store your personal data using PRTL own secure servers or other internally hosted technology. We may use your personal data to send you important notices, such as communications about your registration, transactions, and changes to the “website” terms, conditions, policies, and/or other internal purposes. We may use your personal data to provide the products, content or services you request. If you enter a contest or similar “website” promotion, we may use your personal data to administer such promotion. We may use your personal data for auditing, data analysis, and research to improve the “website” products, content and services. We may contact you to offer you additional “website” or third-party products, content or services that may be of interest to you. The GDPR requires data collectors, such as PRTL, to have a legal basis to use the personal data of EU residents. Therefore, this section shall apply to any such personal data collected by the “website”. 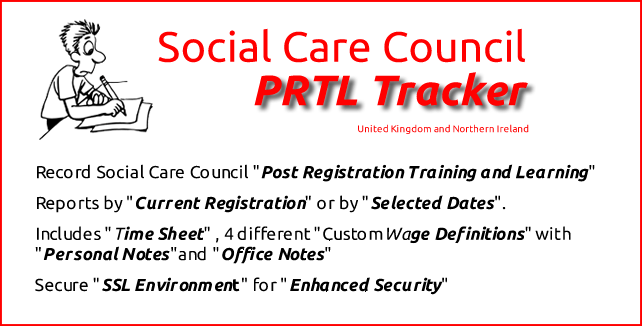 PRTL uses the personal data that you provide to supply you with high-quality products, content and services as you request, to send important notices, and for internal purposes such as auditing, data analysis, and research to provide you with the information you need to make the most informed technology purchasing decisions. The legal basis for processing your personal data is your consent. In certain circumstances, we may otherwise process your personal data if the “website” has a legitimate interest in doing so and the “website” is not infringing any of your rights and freedoms. When the “website” processes your personal data for the “website’s” legitimate interests, the “website” will consider and balance any potential impact on you and your rights under data protection and any other relevant law. Our legitimate business interests do not override your interests. The “website” will not use your personal data in circumstances where your rights and freedoms override our legitimate interests unless we have your consent or are otherwise required or permitted to by law. PRTL may share your personal data to deliver content and services from our sites, affiliated companies and third parties services that might interest you, including sponsored content and events, for business operations, and to comply with valid legal processes. If you are an EU resident, PRTL will only share your personal data with third parties outside of the “website” Communications Network, with your consent. As we mentioned above, your personal data may be shared within the PRTL Communications Network to provide you with information about products, content and services that might interest you and for internal analytical and business development purposes. We may also share your personal data with third parties to deliver third-party sponsored content or other services that you request (see “third party sponsored content and events” below). We may also share your personal data with third parties we have contracted with to support PRTL business operations including delivery, fulfilment, payment processing, email deployment, suppression list management and data processing. If part or all the ownership of PRTL or any of its products or services are sold or transferred, your personal data will be transferred to the new owner. This section shall apply to any personal data collected by PRTL from EU residents. We retain your personal data for the duration of your business relationship with us, and we hold your information only as long as necessary for each purpose we use it unless we have obtained your consent to use for another or similar purpose. If you inform us that you want your personal data erased (if you are an EU resident), or that you no longer wish for us to communicate with you for marketing purposes, or to otherwise restrict the PRTL’s processing of your personal data, we may retain some basic information in order to avoid sending you unwanted materials in the future, and to keep a record of your request and our response. To confirm that PRTL is processing your personal data, or to access, update or correct the personal data PRTL holds about you, or to obtain a copy to reuse for your own purposes, please contact the Data Protection Officer via the Contact Us Page. If you want your personal data erased, please contact the Data Protection Officer via the Contact us Page. If you want to otherwise restrict PRTL processing of your personal data, please contact the Data Protection Officer via the Contact Form.